People pay attention to an individual’s appearance which is why it is essential to pay attention to it. It does not matter if you are thin or fat, your appearance and the way you carry yourself is important. Some people tend to develop a double chin or have a lot of cellulite in the body which is visible just by the appearance and feel of the skin. This can be really embarrassing or may restrict you from wearing the clothes that you would like to wear. To help cater to such needs, different therapies and SkinSpace’s Double Chin treatment have been developed for the reduction and elimination of the double chin and cellulite. Just because a person opts for the Double Chin treatment in Mumbai, it does not mean that a person is fat. A double chin basically is a roll of skin that is fatty or which develops when the soft skin looses its elasticity. The fat that is located here is persistent and stubborn and this is why it is difficult to get rid of a double chin. Just like how a person develops features and looks of the parents, he or she may develop a double chin if it is a genetic problem. The reason behind that is the genetics of the person can directly or indirectly affect the rate of water retention and fat storage in the body. Eating habits also play a role in the formation of double chin. The natural aging process of the human body can also result in the formation of double chin. As a person ages, the muscles and skin start becoming loose, this can also happen if there is a fluctuation of the weigh. The skin starts to slacken which can cause the double chin to develop. 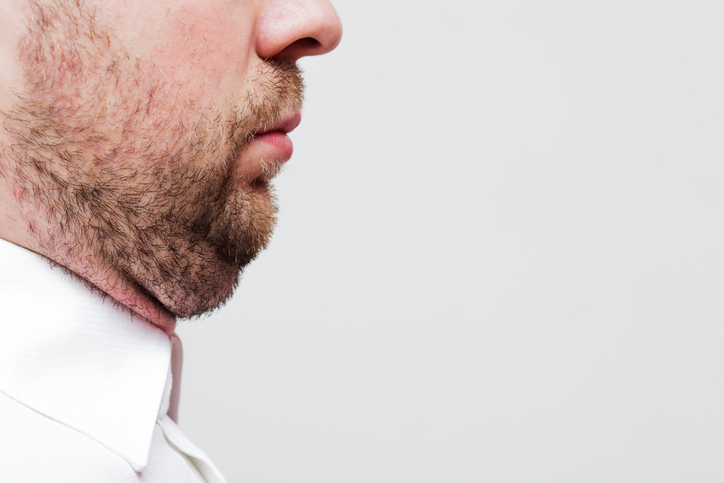 No doubt, if a person has excess body fat or weight, there is a high chance for them to develop the double chin. This does not mean that you cannot develop the double chin if you are thin; however, the risk does tend to increase. To help tighten the skin that is located under the chin, ultrasound waves are used so that energy can be delivered deeply into the skin. This is a non surgical treatment which involves the use of injections to help reduce the fat that is stored on the chin. 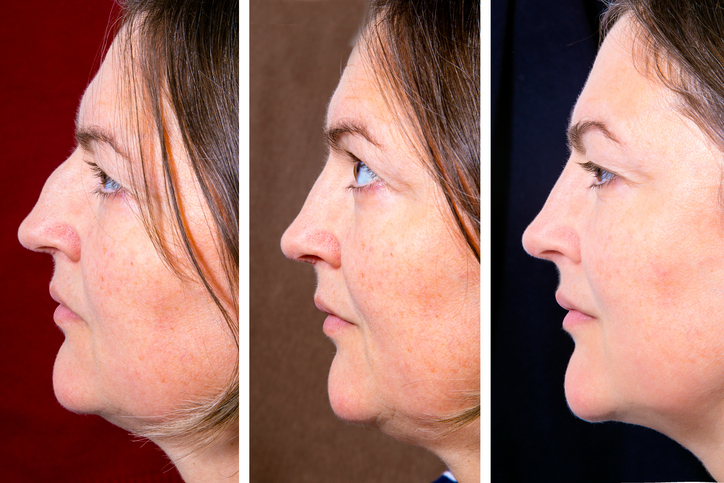 In this treatment, the skin is tightened with the help of radiofrequency energy. This further helps in the stimulation of the production of new collagen. It also helps in the formation of the existing collagen. Cellulite may sound like a medical condition; however, the fact of the matter is that this is actually normal fat that is located just beneath the skin. When this fat starts pushing against the connective tissues of the body, it starts to appear bumpy which results in the puckering of the skin that is above it. It is not essential that a person can be termed as an overweight person only because of the formation of cellulite. Be it a man or a woman, everybody has some level of Cellulite in their body; it does not matter if it is a thin or a fat person. When you do not have a balanced diet, this can result in the development of chronic diseases, natural deficiencies and even obesity; it also affects the immune system of the person. In such cases, a person may tend to put on too much of weight or even loose whatever you have. This is also known as crash dieting. In these sorts of diets, a person can lose a certain amount of weight in a short time. This is generally preferred by people who want to lose weight faster without having to do any exercise. While people think that opting for such diets help them lose weight, the fact is that these diets make you lose water weight instead of fat. In some cases, a person’s body may be forced to break down the muscles for the production of energy. This results in the reduction of the muscle mass which can cause your metabolism to go slow. In this case, it is easy for a person to put on weight or regain the weight that they lost. For a healthy body and mind, there has to be the right hormonal balance. When this starts fluctuating, it can cause various kinds of problems. It can also be caused due to a lifestyle that is not balanced or if the body has too many toxins. When we talk about the total body fat, we are referring to the overall percentage of fat that is stored in the body. For the reduction of cellulite, it is essential that the person needs to reduce the fat content of their body. The fat in the body also contains toxins which is also another reason why it becomes important to reduce the total body fat. When the body is dehydrated, the ability to remove or use fat cells by the body reduces. Though there is no direct cause of the formation of cellulite due to dehydration, however, if you look at the effects it can have on the body, you will find a link. When the skin has a lot of cellulite present, it appears to be bumpy from the outside. This is more prominent in women in comparison to men. This is because the skin thickness in men is a lot more than women. Nowadays, we have various creams that help in dissolving the fat present in the body. These creams also help in making the skin smoother. Some of these creams are available off the shelf, while some are given under a prescription. The blood vessels become narrow with the application of these creams, which cause reduction of the water content in the body since it is forced out of the system. Liposuction is a surgical Cellulite treatment in Mumbai that can be opted for if a person wants to reduce the percentage of fat deposits in their body. This treatment helps reduce the fat content that is located deep inside the skin; however, it does not affect the cellulite in the body. This therapy originated in Europe. Initially, it was used for relieving the pain caused due to various conditions of the skin like inflammation, etc. In this therapy, various kinds of substances like enzymes, amino acids, minerals, vitamins etc are injected. It helps in breaking down the fat and improving the cellulite’s appearance. By using the Laser equipment, the SkinSpace Cellulite specialist will position the laser machine in such a position that it targets the area that has to be treated. When the rays of the laser touch the skin, it starts breaking the fat that is present under the skin. This further helps in the stimulation of the production of collagen. When it comes to treating cellulite, it is important that it has to be done in the right way. It does not matter what equipment, cream or injection is used. What is important is that the specialist should know what he or she is doing. The success of the treatment purely depends on how well the specialist does the procedure. SkinSpace has a set of professionals who have been trained to provide the various treatments for Double Chin and Cellulite.